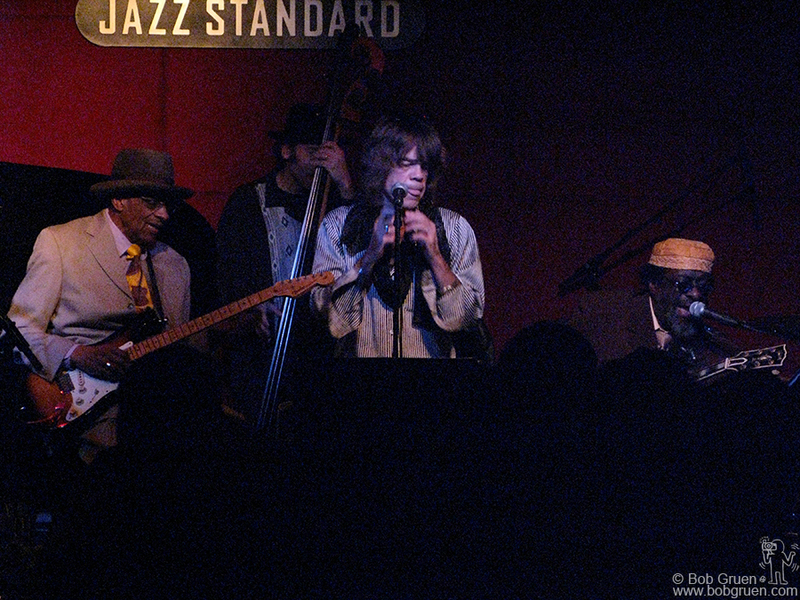 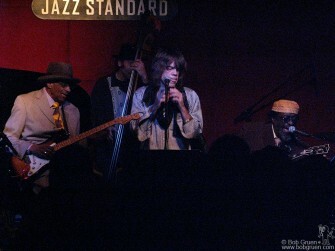 Jan 6 – Famed bluesman Hubert Sumlin played at the Jazz Standard club with a great band including Tony Garnier, David Johansen and James Blood Ulmer, above. 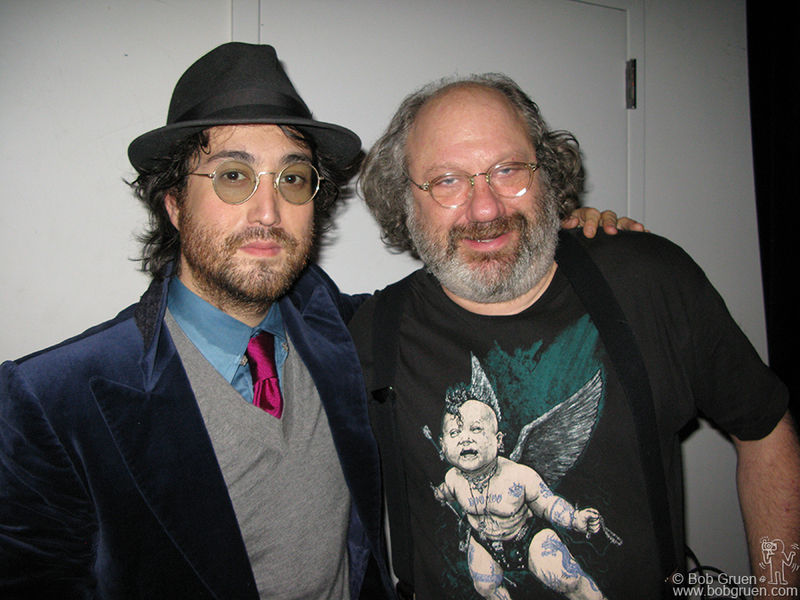 Jan 5 – Sean Lennon & Hal Wilner put on a very avant garde show at the Stone, a small performance space on the Lower East Side. 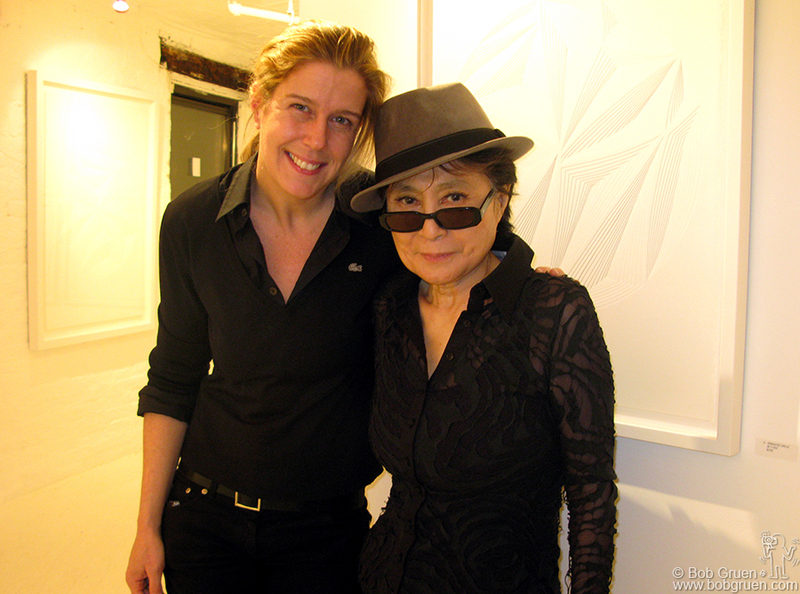 Jan 31 – My wife, Elizabeth Gregory & Yoko Ono at the closing party for Elizabeth’s exhibition of her artwork. 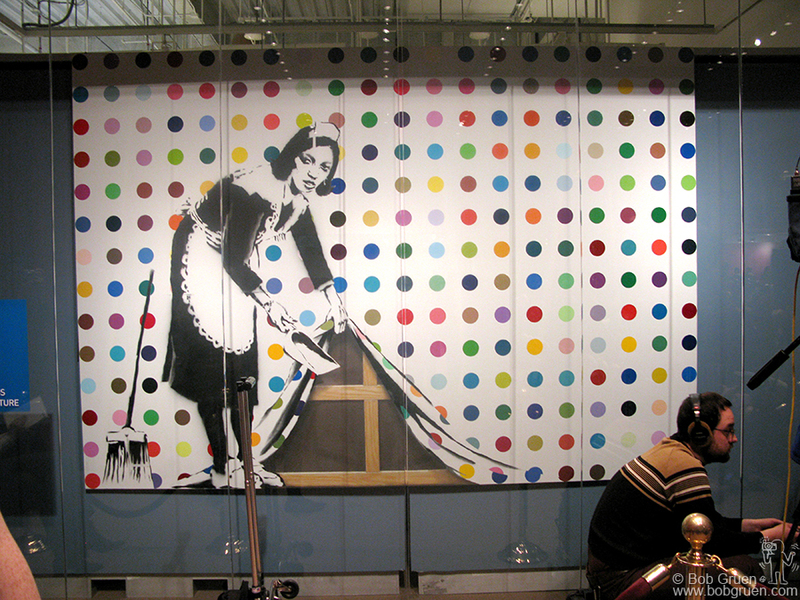 Yoko was impressed and bought one of the pieces. 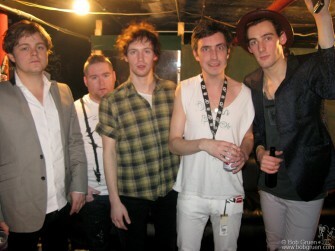 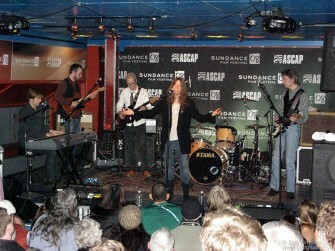 Jan 20 – Patti Smith Group were at the Sundance film festival where a documentary about Patti was screened. 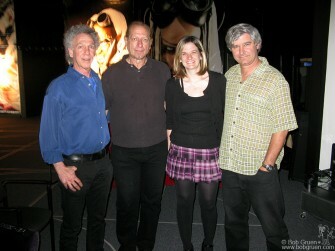 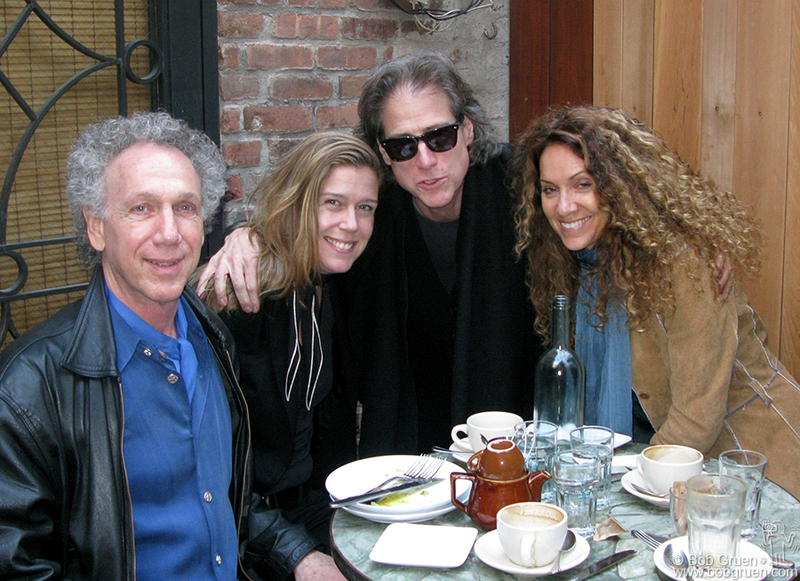 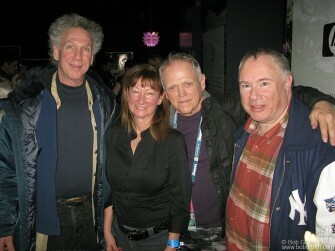 Jan 21 – I ran into old friends at the Sundance film fest, photog Ray Ann Rubinstein, Jim Fourrat and Famous Toby Mamis. 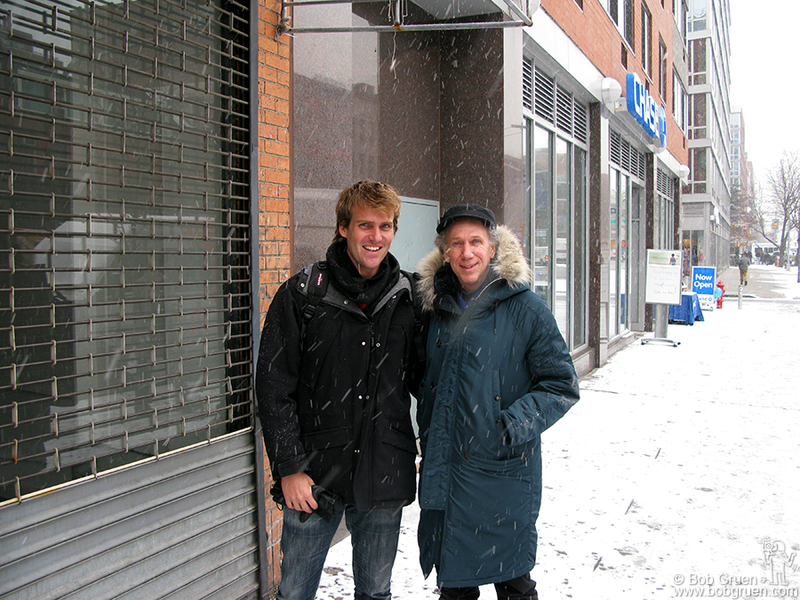 I go there to ski with Toby, because no one is on the world class slopes – they are all watching films! 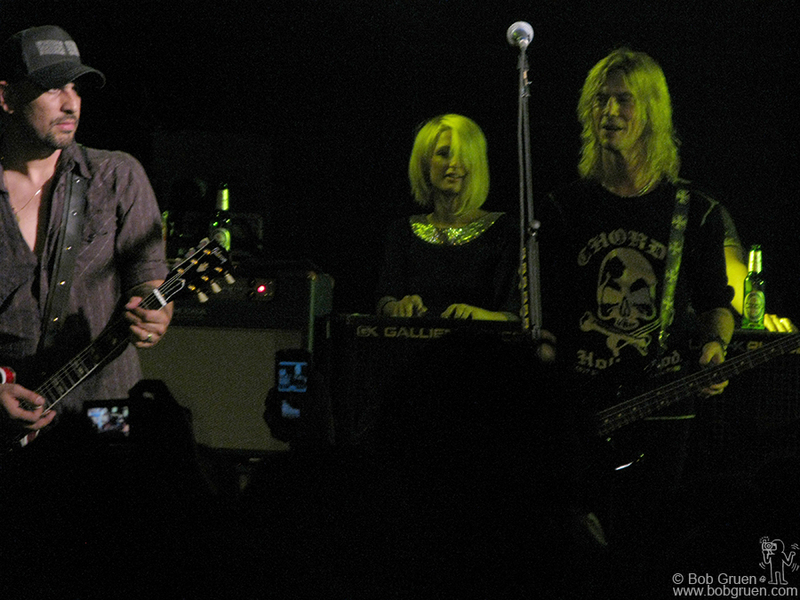 Jan 21 – Velvet Revolver played at the Sundance film fest but lead singer Scott Weiland didn’t make it so they had friends fill in, karaoke style. 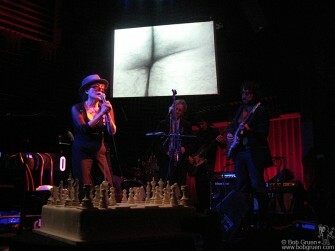 It made it a very original unusual set by the band. 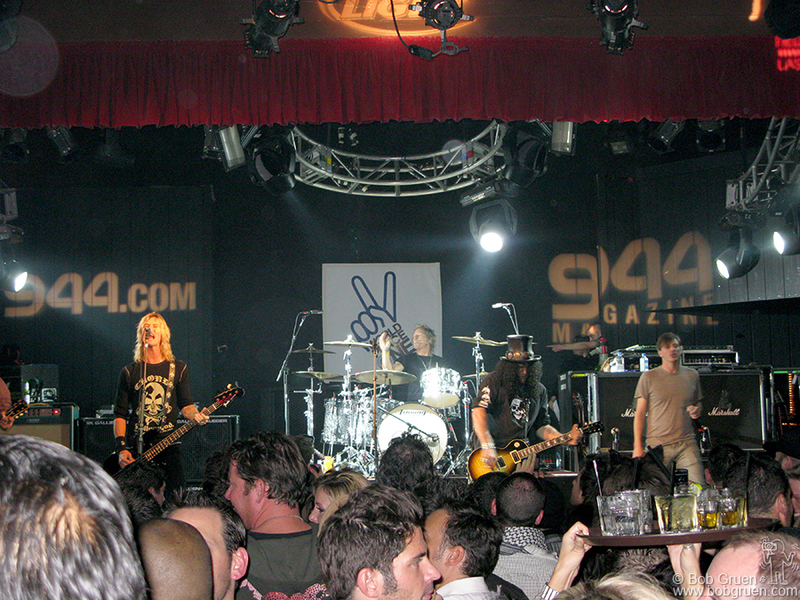 Paris Hilton gave some support to Velvet Revolver. 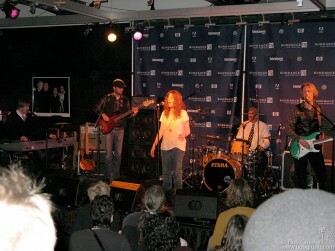 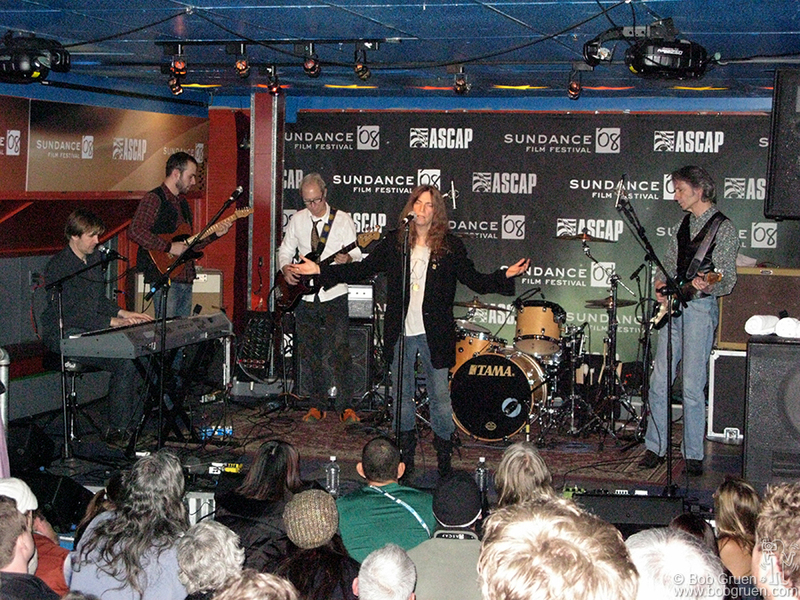 Jan 21 – Patti Smith Group played again later in the week at Sundance. 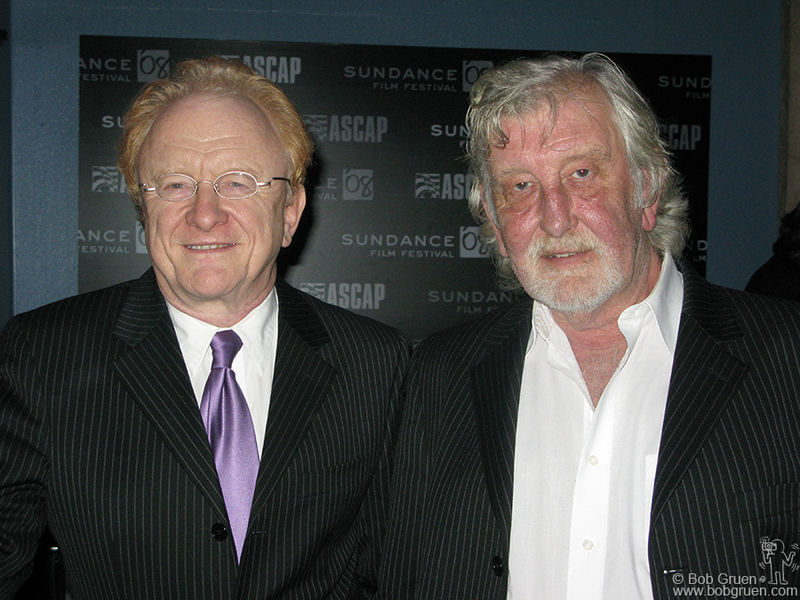 Jan 22 – English superstars of the ’60’s, Peter and Gordon had a reunion at the Sundance Film fest. 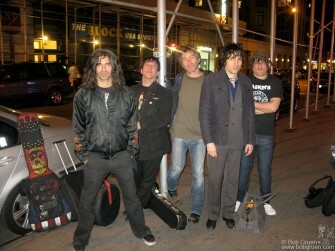 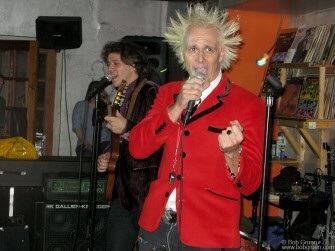 Jan 30 – Jesse Malin and Johnny T opened a pizza parlor next to their bar Niagra on Ave A and 7th street. 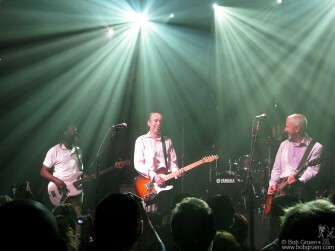 They used my photo of the Clash on the box. Feb 2 – Supla and his brother João came to New York and played a few shows as the ‘Brothers of Brazil’ this one for their friend, fashion designer, Geova. Brothers of Brazil play up the fact that Supla is very punk style while João plays in a more traditional Brazilian Samba style. 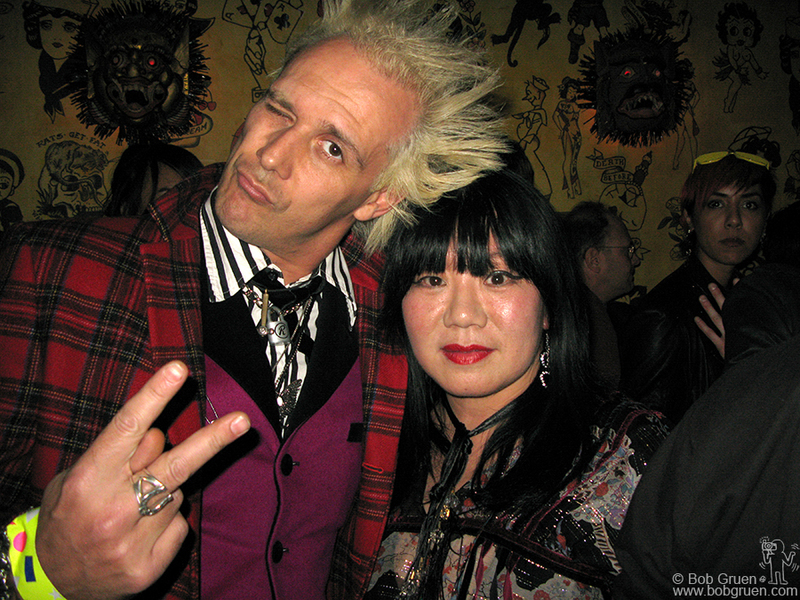 Feb 6 – Supla & Anna Sui at Don Hill’s club, where Anna had her party. 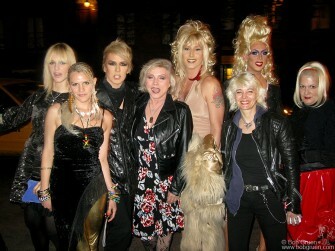 The Paddingtons played at the Anna Sui party at Don Hill’s. Model Agyness Dean celebrated her birthday at Don Hill’s at the Anna Sui party. 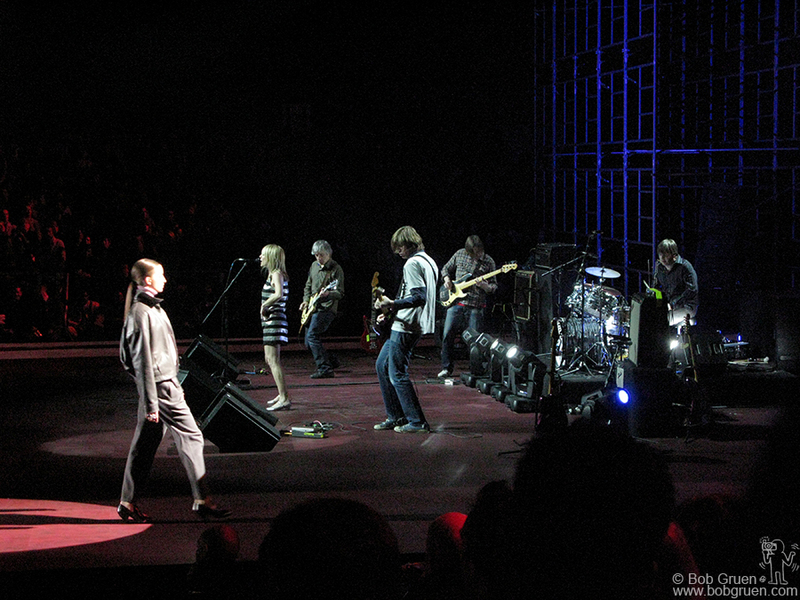 Feb 8 – Sonic Youth played some songs onstage at the Marc Jacobs fashion show. 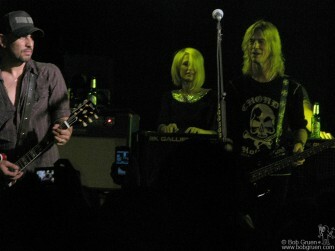 Thurston Moore, Kim Gordon & Marc Jacobs celebrate the success of Marc’s show. 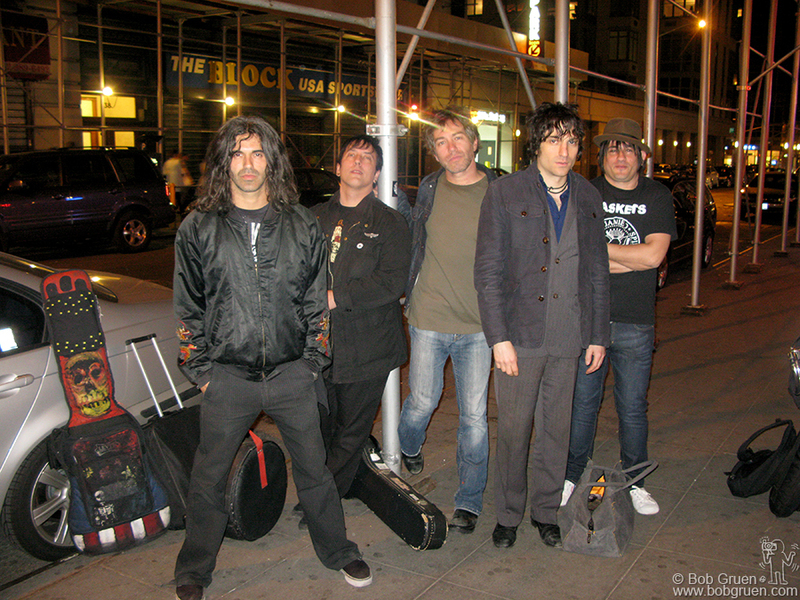 Feb 8 – The Brothers of Brazil finished their week in New York with a show at Niagra on Ave A at 7th Street, on the Lower East Side where Supla used to live. Feb 9 – Jen & Greg Passmore and Mike Page showed me the future of 3-D TV at their studio in San Diego. 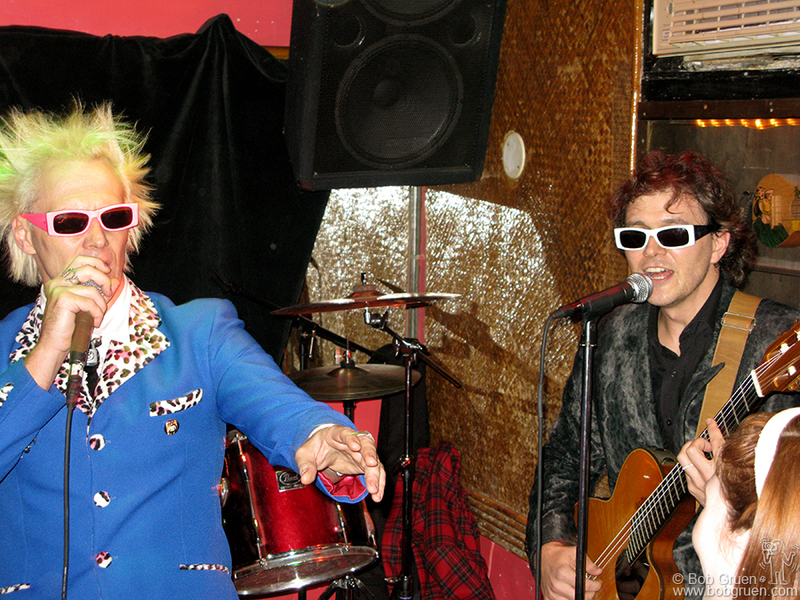 That’s right, 3-D TV coming to your living room soon! 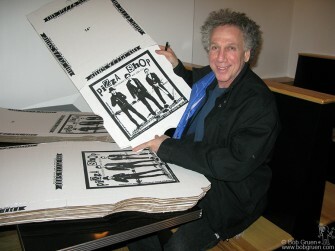 Feb 12 – Tito Ficarelli came from Brazil to design my exhibition to open on the Bowery at the old CBGB gallery space. 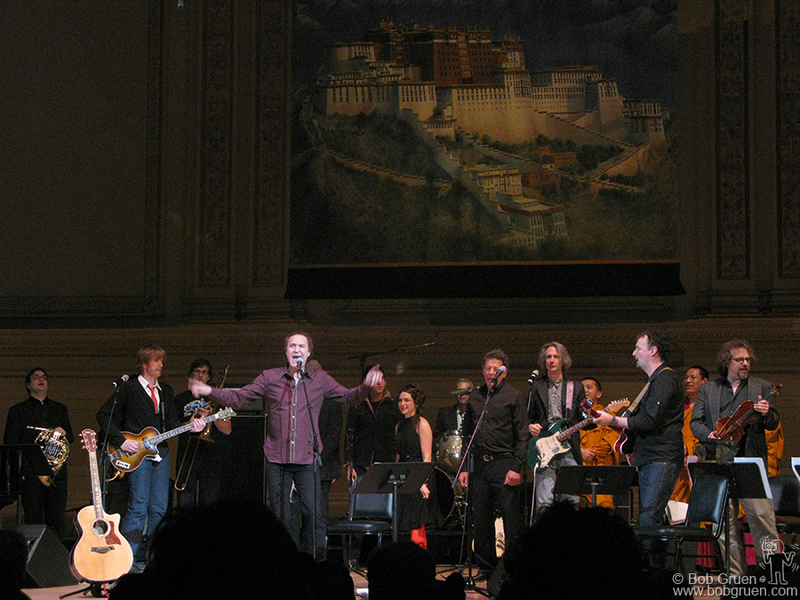 Feb 13 – Ray Davies was the rousing closing act at the Carnegie Hall benefit for Tibet House. 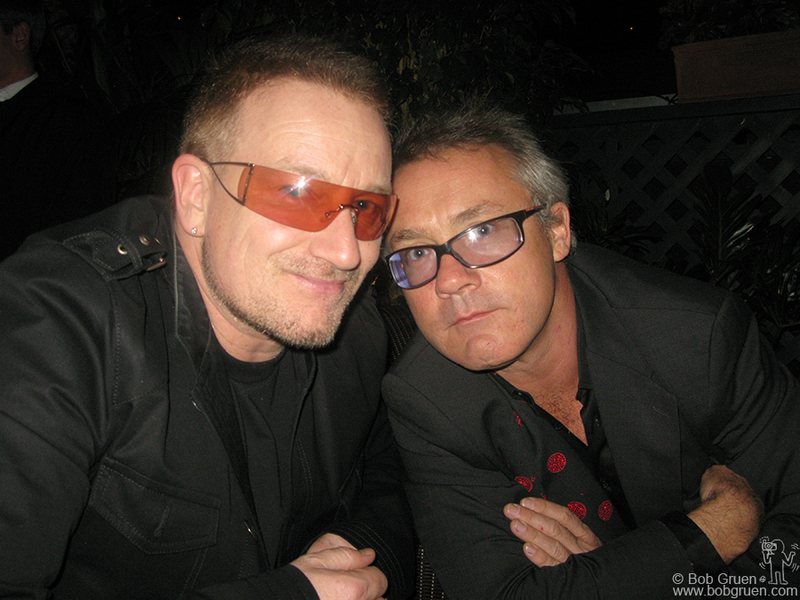 Feb 14 – Damien Hirst and Bono sponsored an auction of art at Sotheby’s that raised over 40 million dollars to help fight AIDs in Africa. 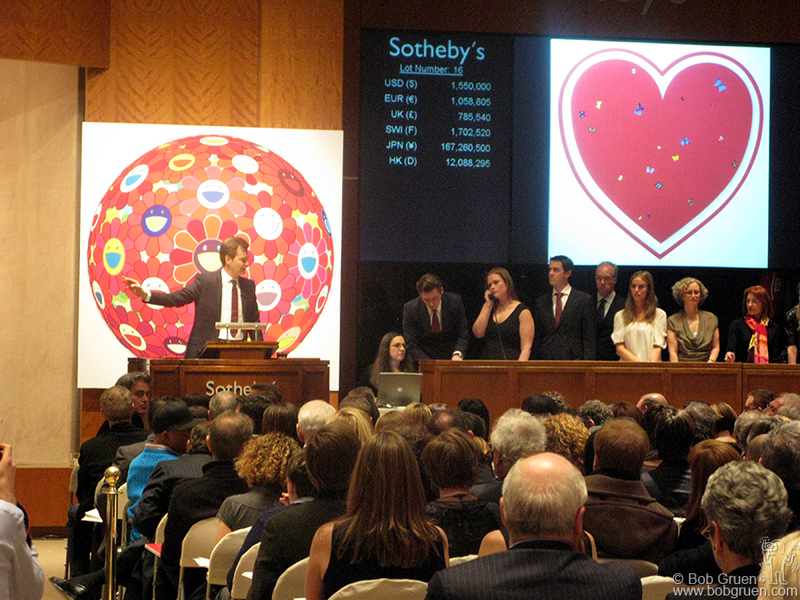 A painting by Banksy at the auction pokes fun at Damien’s spot art paintings. 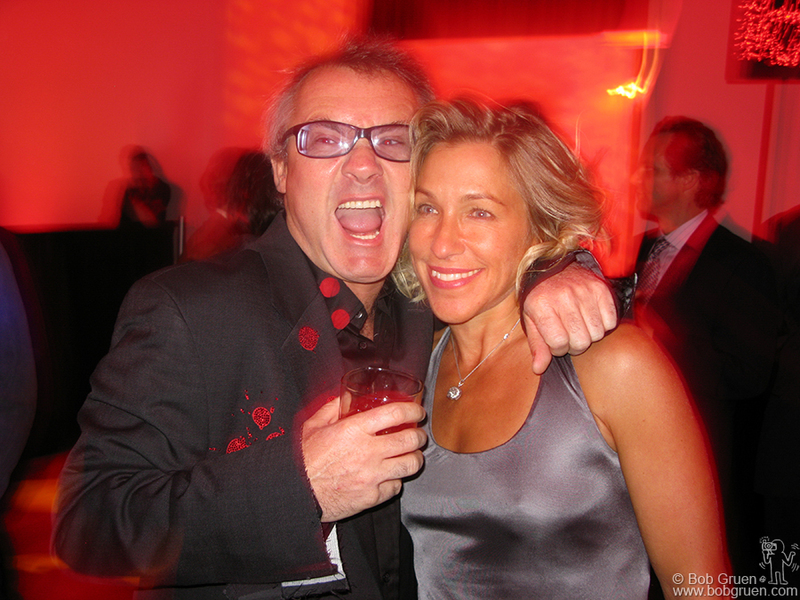 Damien Hirst and his soul mate Mia at the auction party. A happy Valentines day! 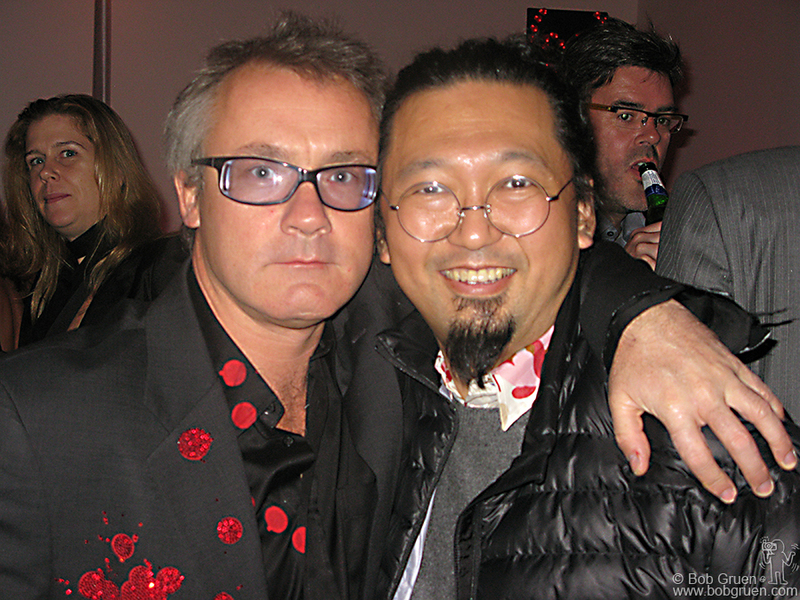 Damien with Takashi Murakami, one of his world famous artist friends who contributed to the auction. After the auction, The Hours played for the party and were joined by Bono who led the crowd in singing “All You Need Is Love” a great choice for the Valentines Day event. Bono & Damien Hirst at the party after the auction. 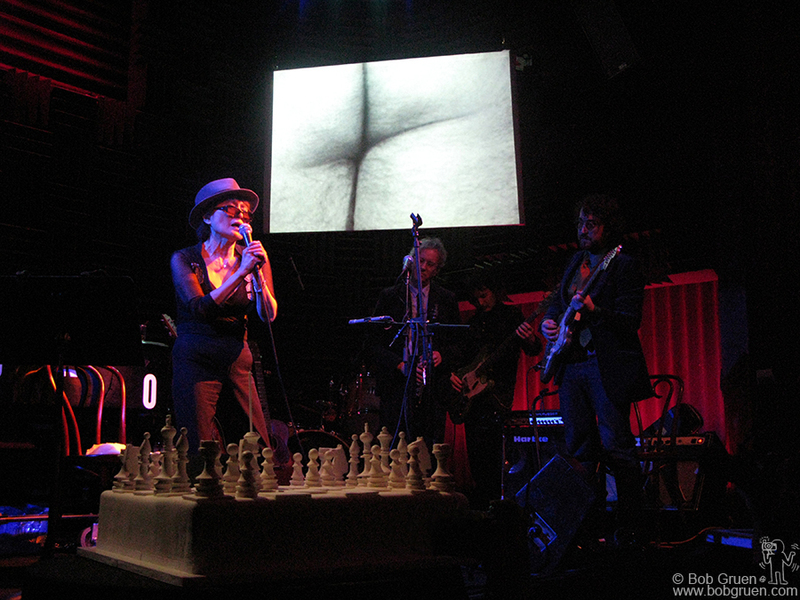 Feb 18 – Yoko Ono celebrated her 75th birthday with a party at Joe’s pub; her son Sean got a band together to play some songs with her. 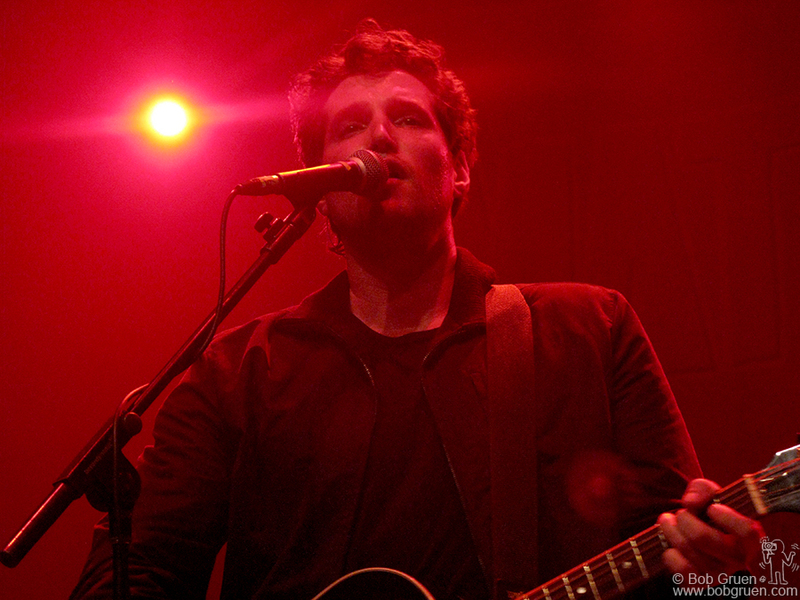 April 2 – Matt White warms the hearts of all the girls who came to see him at the Blender theater. April 4 – Mick Jones and Tony James brought their band Carbon Silicon to the Fillmore East at Irving Plaza. 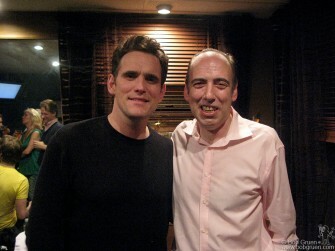 Matt Dillon & Mick Jones, old friends getting together after the Carbon Silicon show. April 8 – Ron Delsener & Ray Davies after Ray’s show at the Beacon Theater. 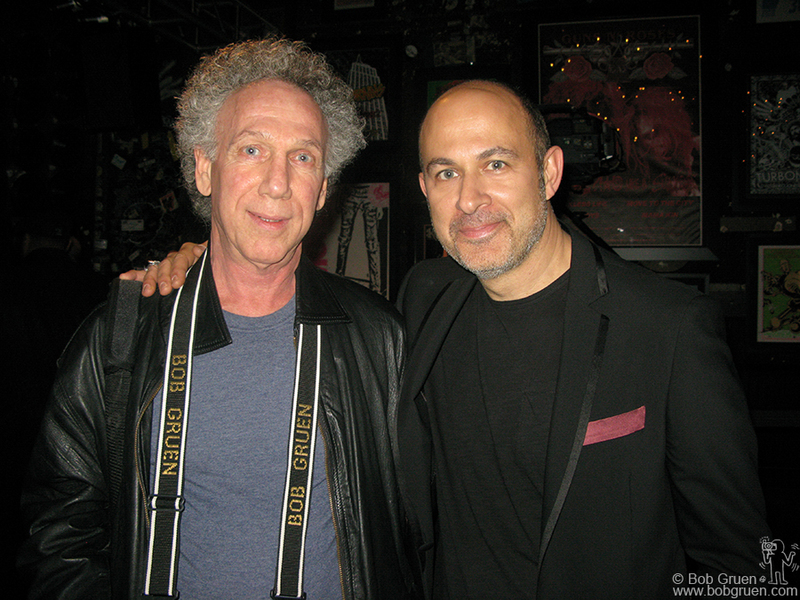 April 17 – John Varvatos opened his new store in the space that used to be CBGB. 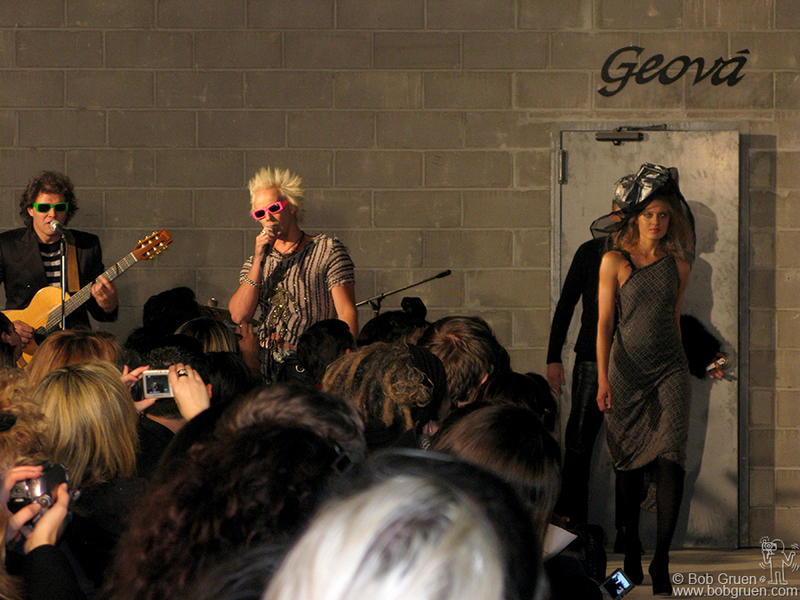 It’s not a rock club, but it’s as close as a clothes store can come to one. 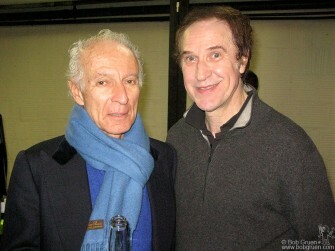 I came to his opening party and had a great time! 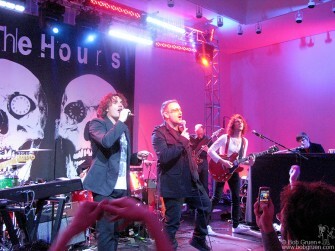 D-Generation had reunion and played for the first time in 10 years at the John Varvatos store opening party, which was a benefit for the VH1 Music Cares charity. 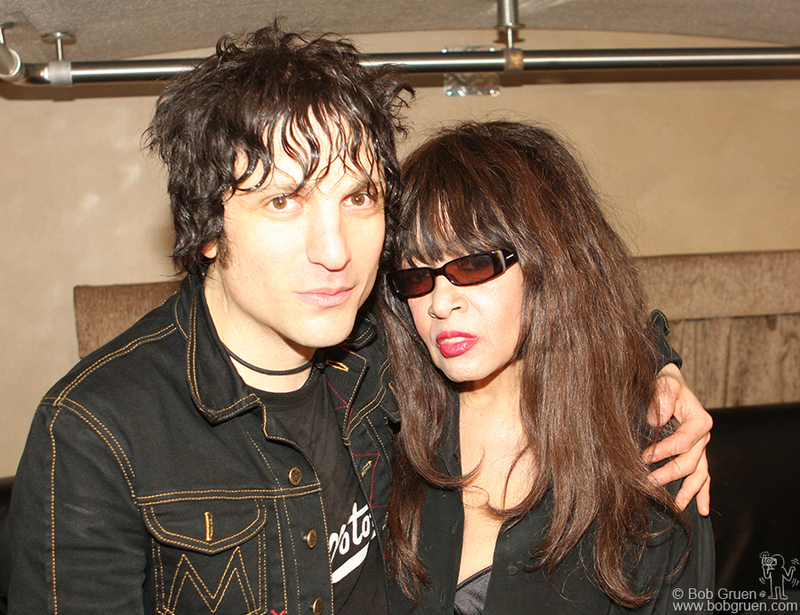 Jesse Malin & Ronnie Spector backstage at the John Varvatos store opening party. 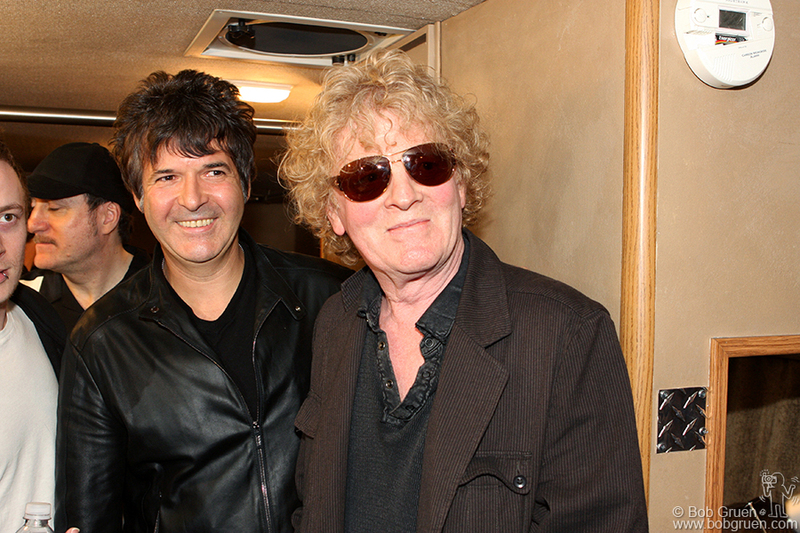 Clem Burke & Ian Hunter got to chat backstage at the John Varvatos store opening party. 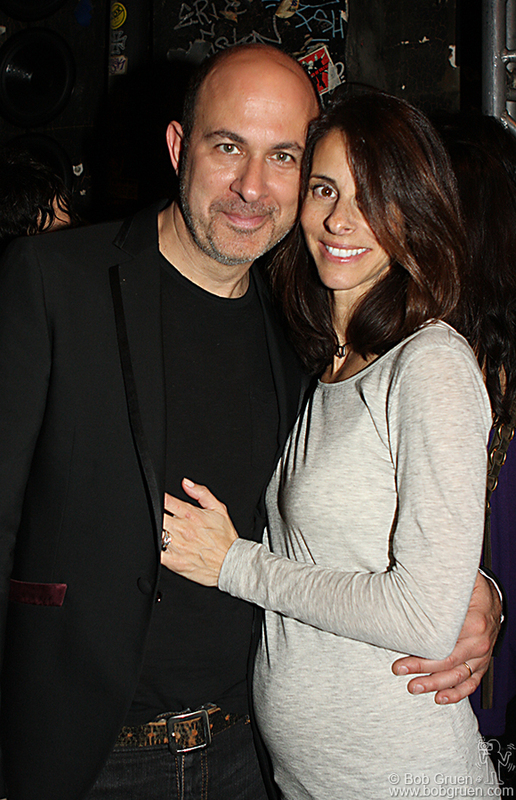 John Varvatos & his wife Joyce had a lot to celebrate at the party for his store. 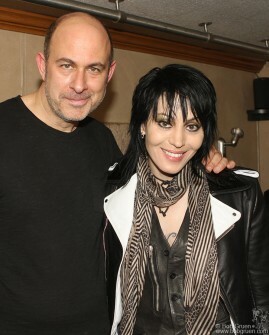 John Varvatos & Joan Jett who was at her most exciting best on the stage! 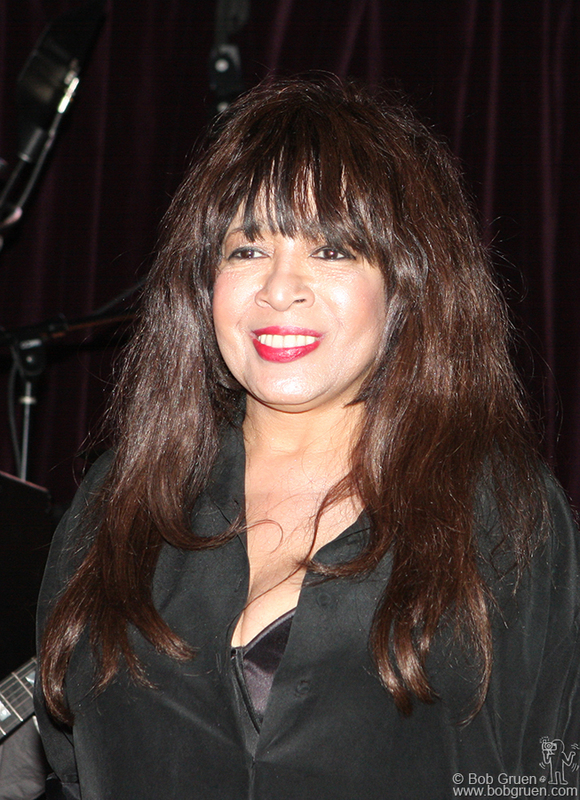 Ronnie Spector was a real rock highlight at the John Varvatos store opening party. 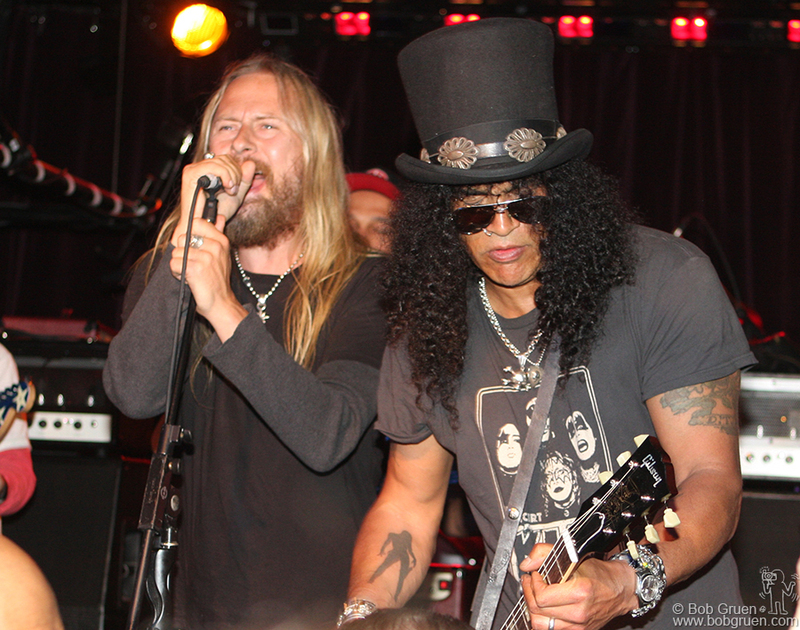 Jerry Cantrell & Slash played a few rockin’ songs at John Varvatos store opening party. Slash & Cheeta Chrome backstage at the John Varvatos store opening party. 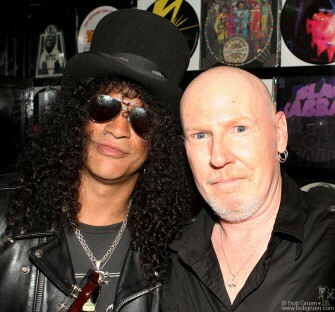 Slash & Cheetah Chrome backstage at the John Varvatos store opening party. Joan Jett & Wayne Kramer backstage at the John Varvatos store opening party. 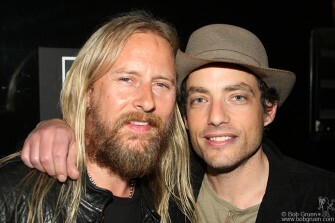 Jerry Cantrell & Jakob Dylan were at the John Varvatos store opening party. April 25 – The blondes all came out to see the opening of the documentary film about the Squeezebox parties, including Miss Guy, Debbie Harry and Mistress Formika. April 26 – My friend Richard Lewis and his wife Joyce came to see my Rockers exhibition and we had a lunch together. 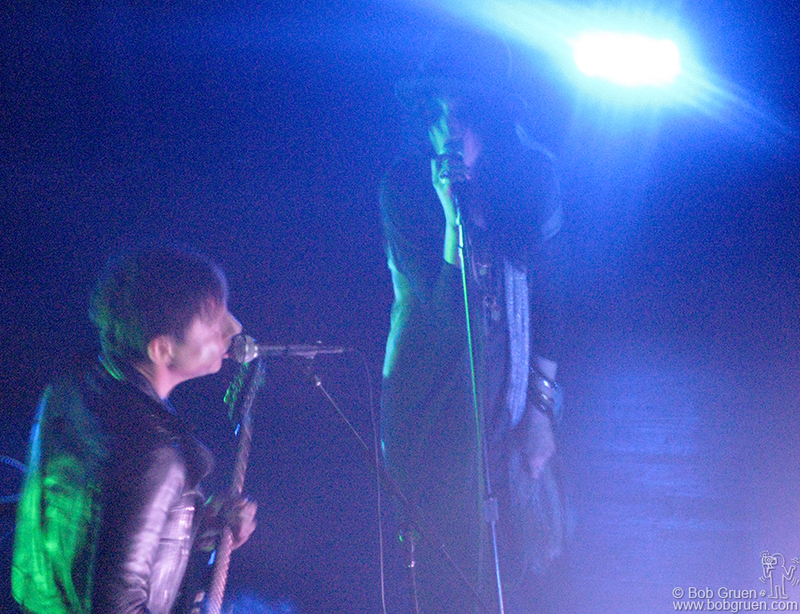 May 1 – The Kills played a cool sold-out show at Webster Hall. 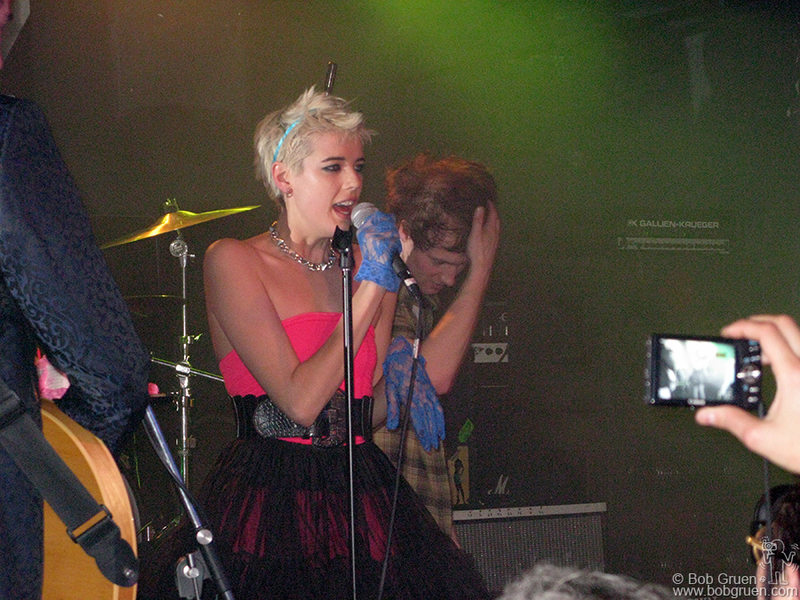 Theodora and Alexandra Richards at the Kills after-party in Jesse Malin and Johnny T’s hot new club, the Bowery Electric. 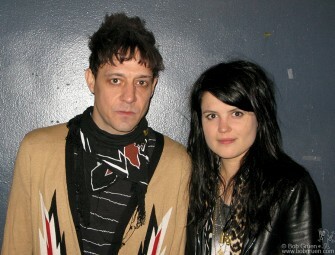 May 9 – I went to Chicago to give a talk at the Gravity Free Convention of Designers and found out that the Kills were there too, playing at the Metro. 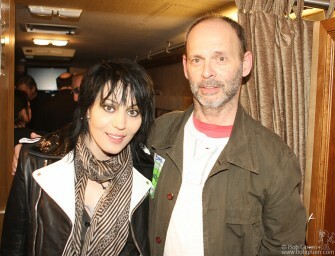 I talked to Jamie and Alison and took this photo backstage before their show.